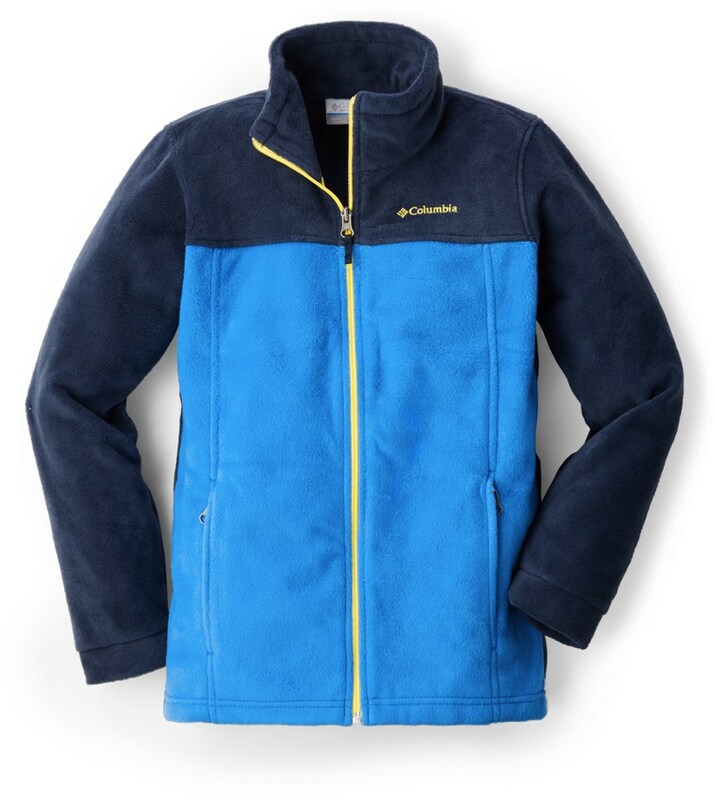 The boys' Patagonia Radiant Flux jacket makes an excellent mid layer for handling changing weather conditions. 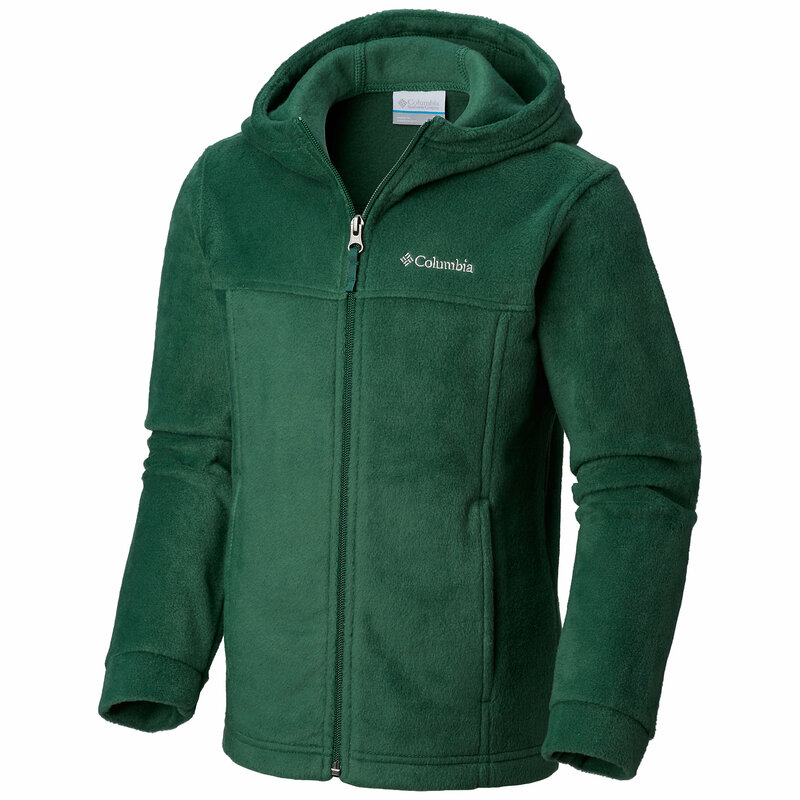 It offers mid-layer warmth in a soft, stretchy polyester/spandex velour with a grid back. 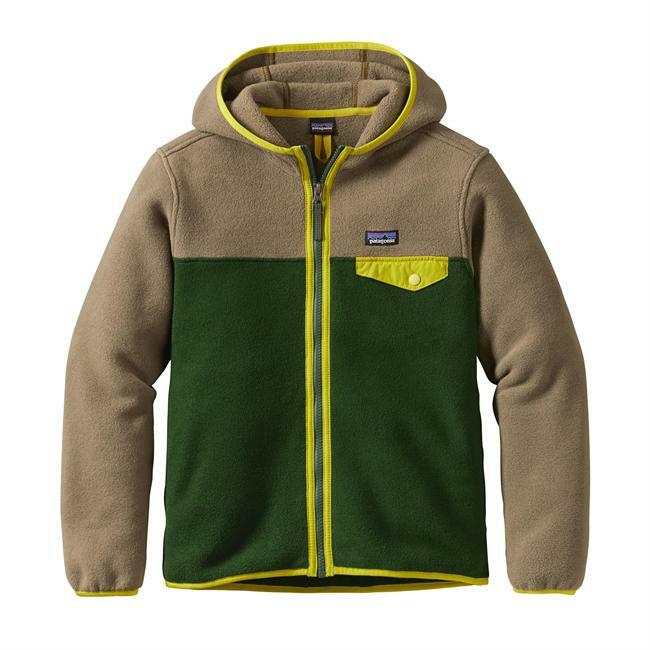 From autumn hikes to winter afternoons at the sledding hill, keep your kiddo warm in the Patagonia Boys' Radiant Flux Jacket. 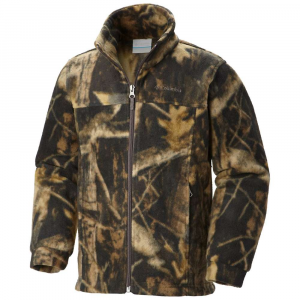 Made from a stretch fleece fabric, this jacket handles changing conditions with ease thanks to a grid back which enhances breathability and reduces bulk. A high collar offers extra protection from the cold, while raglan sleeves ensure chafe-free comfort when he's wearing a pack. 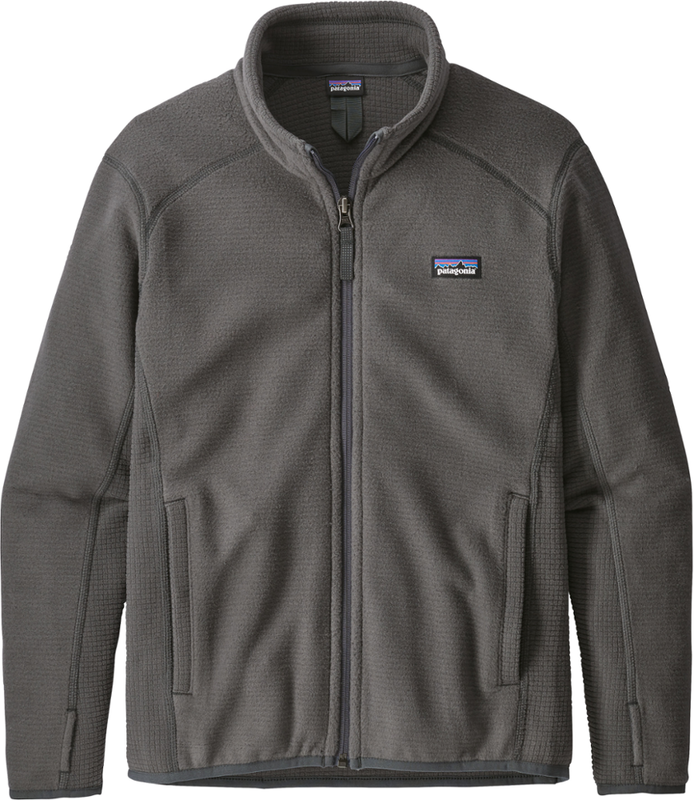 The jacket's regular fit layers over a long-sleeve tee on cool hikes and easily fits under a shell for midlayer warmth when conditions demand waterproof protection. 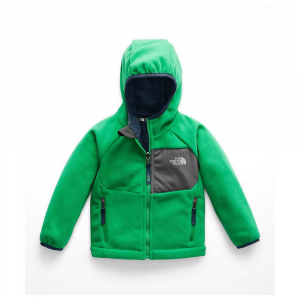 The midlayer Boys' Radiant Flux Jacket handles changing weather conditions. It's made of 94% polyester/6% spandex fleece that has a velour face and grid back-the grid makes the fabric breathable and reduces bulk. We've reversed the fabric on the side panels and added a raglan seam detail on shoulders that won't chafe under a pack. 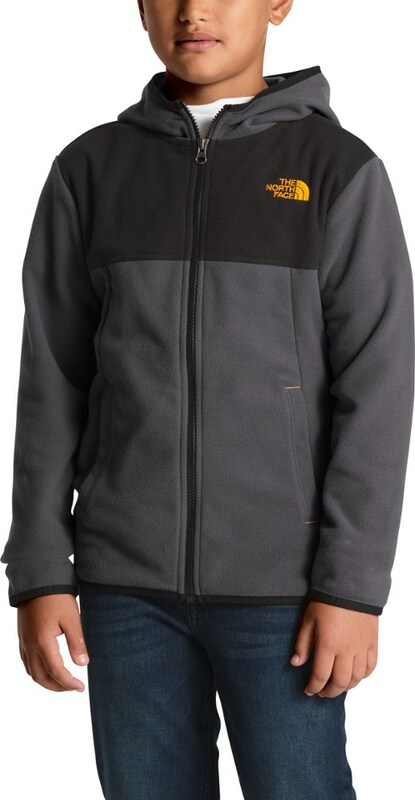 The zip-through, double-layer collar with grid edge provides structure and texture, the binding trim at the hem holds in warmth and the thumb-hole cuffs provide more coverage over the hands. Hand-me-down ID label. Fair Trade Certified(TM) sewn.